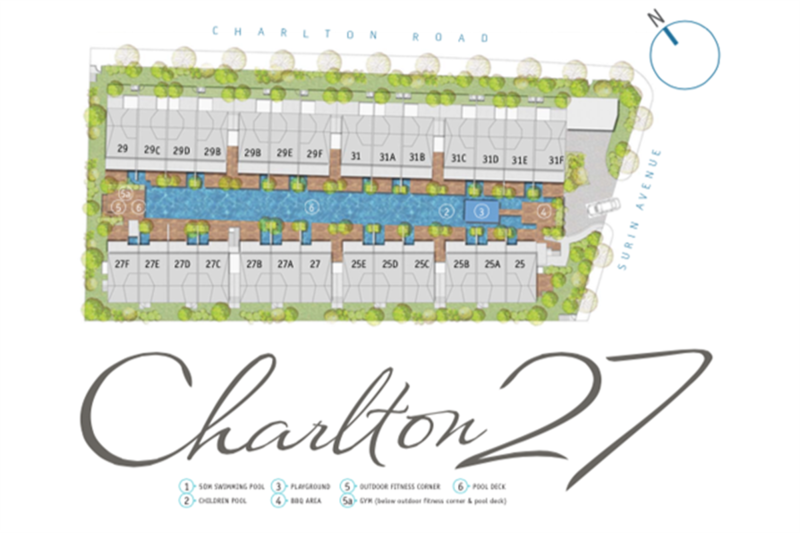 Charlton 27 is a freehold cluster housing development. There are only 27 units, out of which there are 16 corner and 11 intermediate terraces. 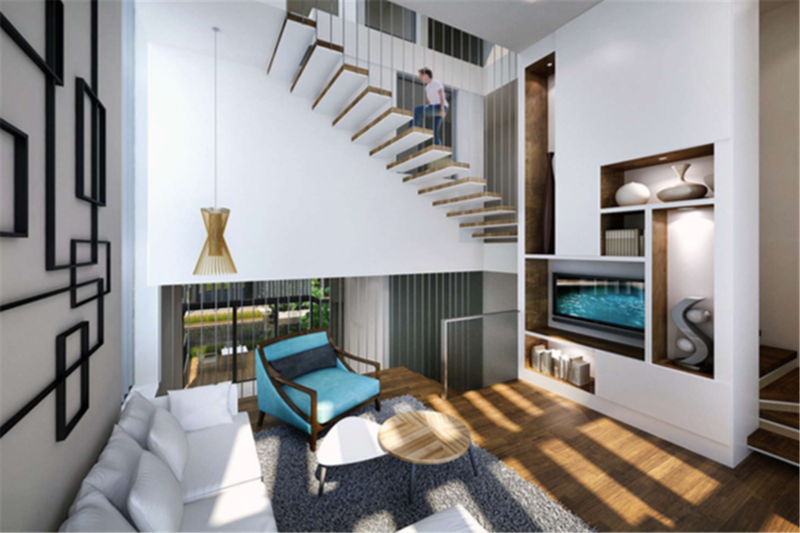 Sizes range from 4200 sq ft – 4800 sq ft for the intermediate terraces and 5000 – 6000 sq ft for the corner terraces. All units come with 2 basement car park lots and an internal lift. 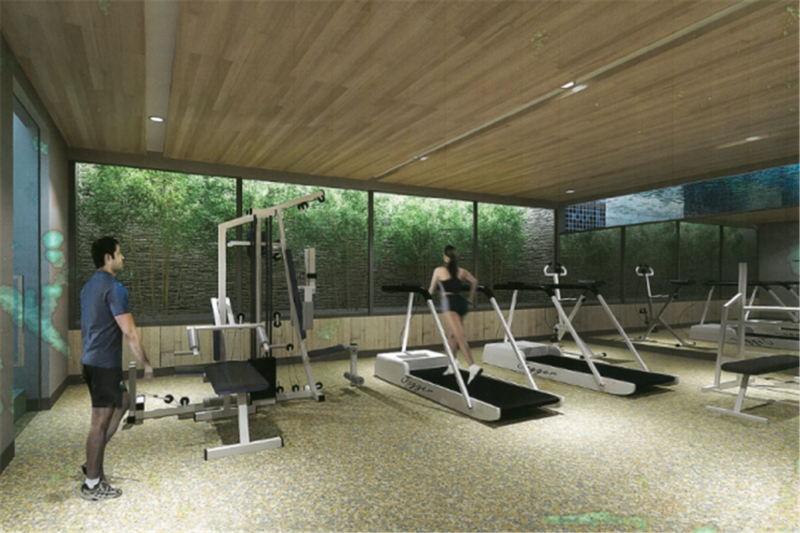 It comes with condominium facilities including BBQ, Gymnasium, Steam Room, a 50m Swimming Pool, Children’s Pool/Playground and a Fitness Corner. 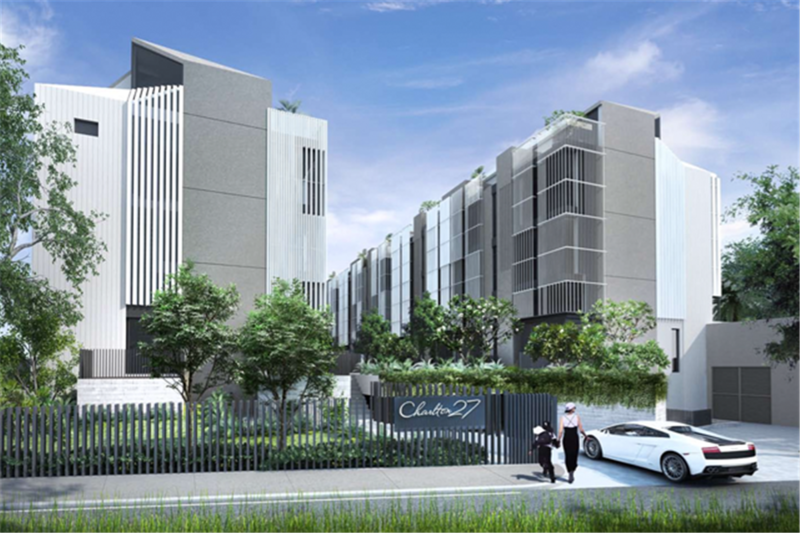 It is ideally located on Charlton Road, a short walk to the main Upper Serangoon RoadIt is about a 8 minutes walk to the Kovan MRT Station, the Heartland Mall and the Kovan Hawker Centre. Also nearby is NEX Shopping Centre and the Serangoon MRT Station. 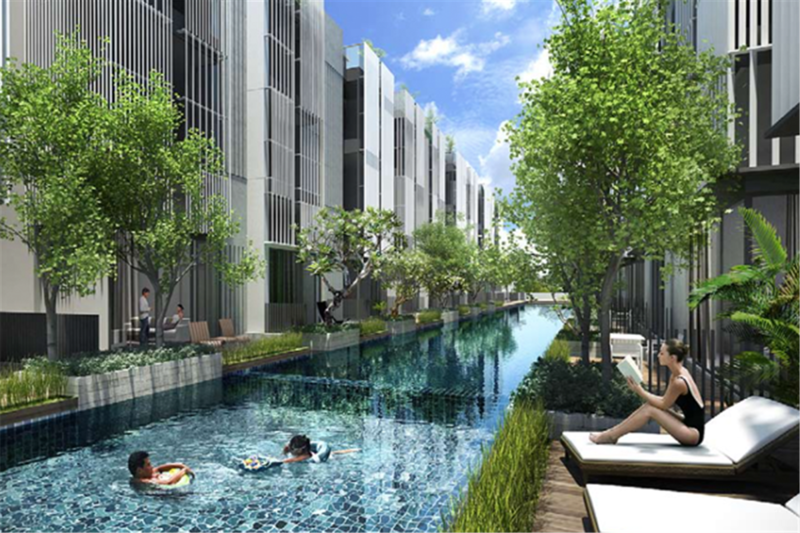 Numerous public parks and natural spaces are located within walking or cycling distance of the development. 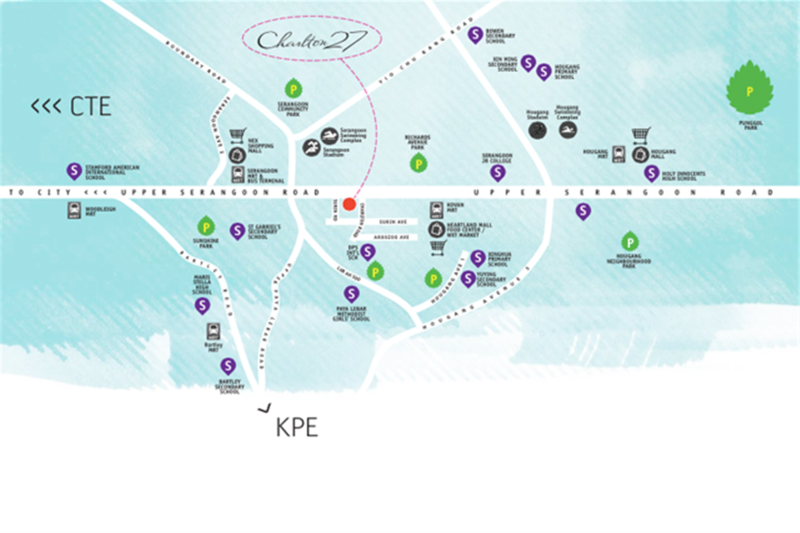 Amazingly, Charlton 27 is also conveniently located in between the Serangoon Interchange and Kovan MRT Station. Within walking distance are NEX regional centre, the Heartland Mall, and good schools such as Holy Innocents, Paya Lebar Methodist, and Rosyth School. 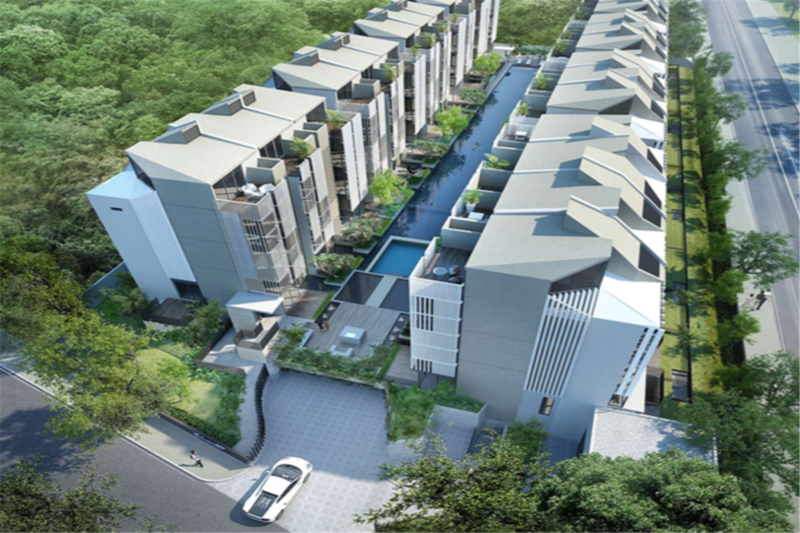 The Upper Serangoon area has been transformed in recent years by improvements in the transport infrastructure and high quality new developments, bringing all the amenities of the city to easy reach. 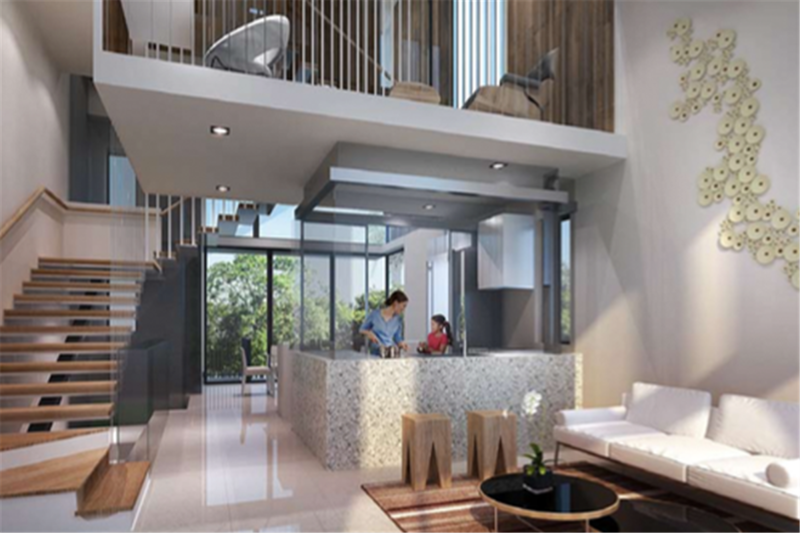 Our design philosophy emphasizes you, the occupant - providing comfortable spaces for individuals as well as open and conducive environments for gathering and family bonding.